Far-right groups spread “fake news” on social media to mobilise their supporters for violent protests targeting migrants after the fatal stabbing of a German man, said officials in the eastern German state of Saxony where they took place. 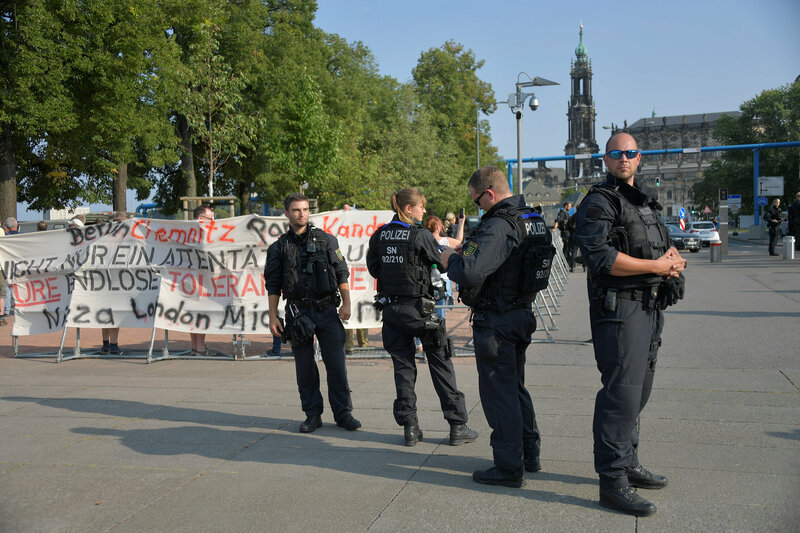 On Tuesday Merkel repeated her condemnation of both the stabbing and the protests, saying scenes – depicted in amateur video clips – of migrants being chased through the streets were completely unacceptable in a state based on the rule of law. “We saw a significant mobilisation effect – that means that anarchists travelled from far beyond the region and state borders, especially right-wing violent actors … from the hooligan scene and from the football scene,” he told reporters. “The fact that we have a Syrian and an Iraqi suspect is no reason – no reason at all – for a general suspicion of all foreign residents,” said Kretschmer.